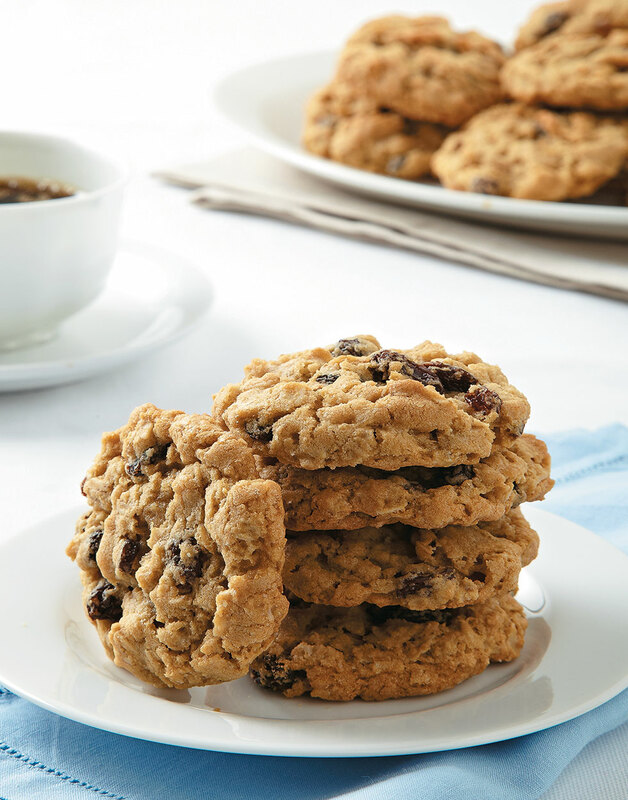 This foolproof recipe for perfect Oatmeal-Raisin Cookies will transport you back to your childhood in no time. Chewy, nutty, and oh-so delicious, these cookies are pure bliss. For a fruity alternative, substitute 1 cup chopped dried cranberries or cherries for 1½ cups raisins. Preheat oven to 350° with rack in center position. Coat a baking sheet with nonstick spray. Whisk together flour, baking soda, baking powder, and salt in a bowl. Cream butter, granulated sugar, brown sugar, eggs, and vanilla in a second bowl with a mixer on low. Increase speed to high and blend until fluffy and lighter in color. Stir flour mixture into butter mixture until no flour is visible. Stir in oats and raisins. Scoop cookies using a # 40 scoop (about 11/2 Tbsp. measure). Drop dough onto prepared baking sheets 2 inches apart. Bake cookies until golden but still moist beneath cracks on top, 11–13 minutes. Let cookies sit on baking sheet 2 minutes to set up, then transfer to a wire rack to cool.